Built on a site overlooking the River Spey as a mission church from Aberlour. 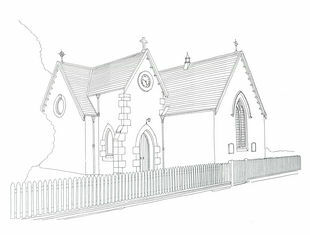 Simple T-plan church with Gothic details built in the local pink granite with a slate roof. Inside, a traditional layout with the pupit in the centre of the long wall. A meeting room was constructed in 2002 and provides a useful resource.